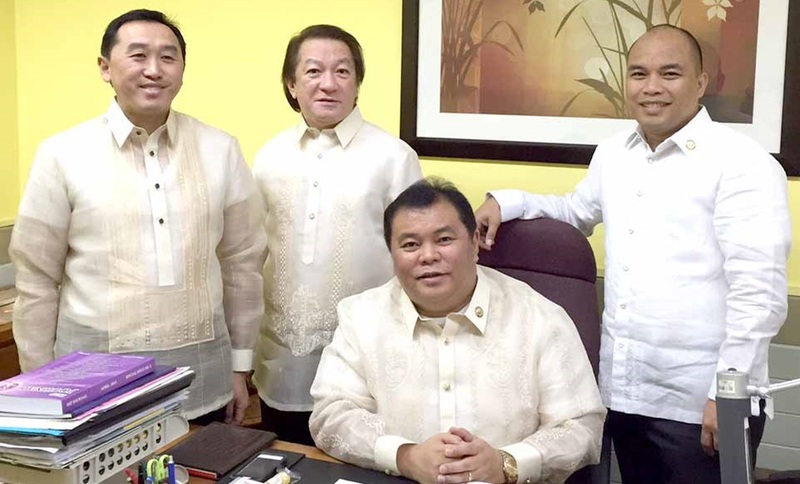 First District Representative Rene Relampagos welcomed the support extended by Third District Representative Art Yap for the former’s perceived gubernatorial candidacy during the 2019 polls. Yap, who was previously speculated to run for governor himself, announced last week that he would give way to Relampagos and be the first district congressman’s running mate instead. Relampagos in turn thanked Yap for the support but noted that he has no concrete plans for the 2019 elections yet, neither admitting nor denying his projected gubernatorial bid. Both Relampagos and Yap are on their third and final terms as congressmen and are from different political parties with the latter being a member of the administration’s Partido Demokratiko Pilipino-Lakas ng Bayan. According to Relampagos, it would be “premature” to issue an official plan for candidacy in the next elections, particularly with the ongoing drive for Charter change. The congressman cited the possibility of a no-election (no-el) scenario in 2019 if the Congress-led shift to federalism succeeds this year. The possibility of having no elections in 2019 was previously admitted by House Speaker Pantaleon Alvarez. “I have to be frank…Anything is possible,” Alvarez said regarding talks on a no-el scenario in 2019 during an interview with ANC’s Headstart. Last week, Yap said in a press conference that one of his options was to run for higher office, particularly a seat in the Senate. He also did not discount the possibility of running for governor but made it clear that he would step back if Relampagos runs for the same position.